At Allura Skin and Laser Centre in Mississauga we use our medical grade skin care products filled with highly concentrated active ingredients. Such as: Vitamin A, C, E, Collagen, Kojic Acid, Hyaluronic Acids, Glycolic and Lactic Acids, and other common Alpha Hydroxy Acids (AHA’s). You may choose from an organic facial to a medical grade facial, and make your skin look younger, smoother and more purified. Our knowledgeable skin care therapists will perform a thorough skin analysis and determine the best facial treatment for you. Bio-Advanced facial is recommended for dehydrated, menopausal and mature skin. This facial will treat, firm and correct any signs of aging. We use combination of Microdermabrasion followed by the infusion of powerful concentrated medical grade serums and multivitamin masks. This will allow for a better exfoliation and absorption of the custom selected products for your skin. Plus, an exceptional and relaxing massage that will tone up the muscles of your face, giving you a perfect and vibrant youthful appearance. Bio-Purify Facial will help balance oiliness and minimize any congestion. The use of quality medical grade products will destroy the P. Acne Bacteria and the skin will experience instantaneous improvement in appearance. Also, the knowledgeable advice provided by the certified medical aesthetician will be provided in order to help maintain and protect your skin from future breakouts. Bio-Complex Facial is a treatment that will instantaneously neutralize and minimize Redness. It promotes fantastic hydration and improvement of the skin barrier to better protect against environmental damage. 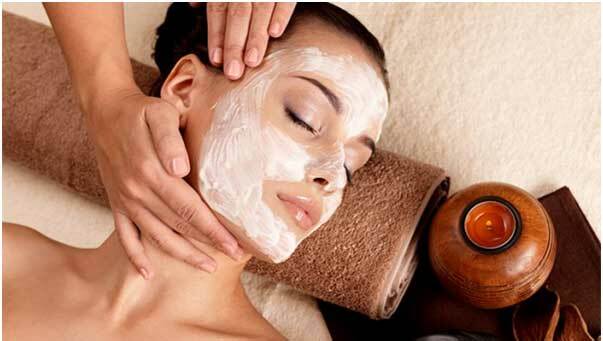 The Bio-Brightening Facial is an intense treatment that will gradually brighten and lighten the skin. It will bring a radiance to dull, discolored and naturally stressed skin. The use of highly concentrated medical grade Vitamin C with the combination of key ingredients such as: Kojiic Acid and Licorice will promptly help turn damaged areas into a brighter, flawless and more radiant complexion. Let us pamper you after a busy day! Learn about other skin care treatments.